Day 2: Ready or not, here we come! 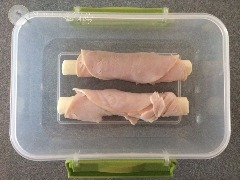 Simply roll sliced meat (I use Applegate Organic Roasted Turkey Breast) around a cheese stick (I used mozzarella string cheese from Trader Joe's). I use 365 (Whole Foods name brand) non GMO lightly salted popcorn. 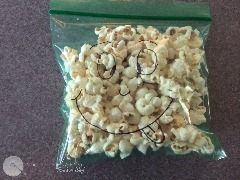 I drew a smiley face on the baggie, why? Why not! To make 10 chocolate covered strawberries (some for the kids, some for yourself) melt 1/4 cup dark chocolate chips with 1 teaspoon coconut oil. 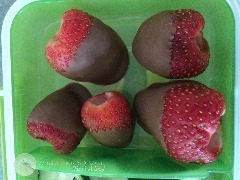 Dip strawberries in chocolate and refridgerate on wax paper for 1 hour (or overnight). *Same recipe as my cheesecake stuffed strawberries, I just didn't stuff them with cheesecake. 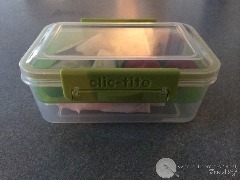 I found this amazing 2 layer container last week at T.J. Maxx. Tucker was with me and I made him open and close it while we were at the store. Why? No matter how cute and seemingly functional a food container might be, it's useless if your child can't open it without help. 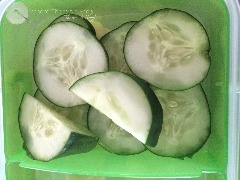 Need a gluten free option for you child's lunch, that is still kid friendly? 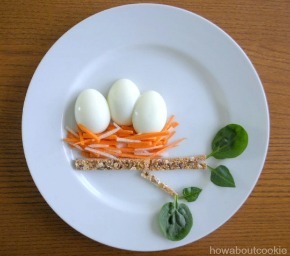 Where there's a meal, there's a way! 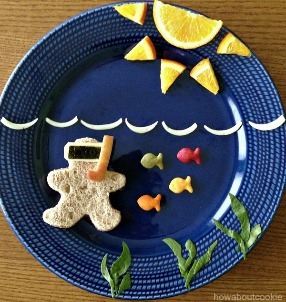 Selena Kohng from How About Cookie takes school lunchs and snacks and turns them into works of art! How did she get started? She has a picky eater! 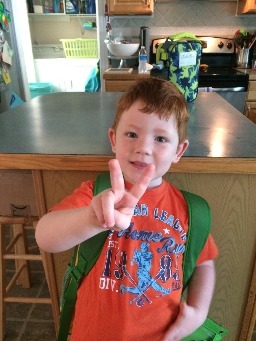 Accoriding to Selena, " When my youngest started kindergarten this past year, I knew he’d need some incentive to eat lunch at school; fun lunches that are packed neatly made sense, and I wanted him to feel like he had a piece of home with him even though we were apart. 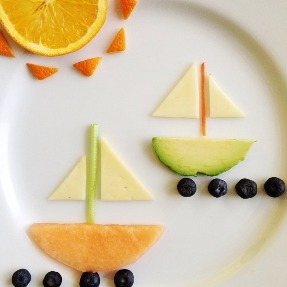 Most of the lunches I pack aren’t cutesy; I save that for the food art plates the kids eat during snacktime."